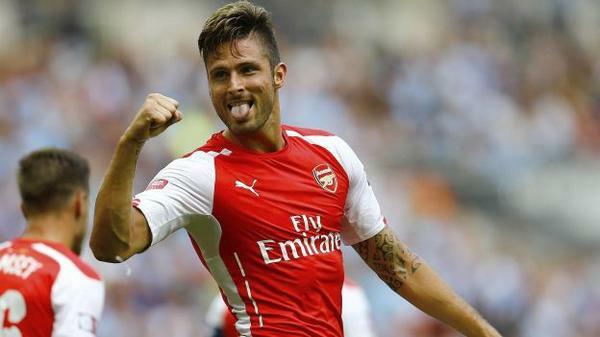 Arsenal manager Arsene Wenger has confirmed star striker Olivier Giroud will return to training next week for the first time in the last three months. The French international picked up a foot injury during the Gunners’ Premier League clash against Everton at Goodison Park earlier in August. His injury forced Wenger to sign Danny Welbeck from Manchester United as the England international completed his switch to the Emirates on the final day of the summer transfer window. Arsenal face Swansea City in the upcoming league clash later this weekend and the club football will take a break due to international football. Wenger has revealed that Jack Wilshere will be fit for their trip to the Liberty Stadium, while midfielder Mikel Arteta will miss the clash against Garry Monk’s side. It will be for the first time Lukasz Fabianski will face his former club since leaving the Emirates club on a free transfer earlier in the summer. The Polish international joined Swansea and is likely to start on Sunday against the Gunners. Wenger expressed his disappointment after Fabianski’s departure and replaced him by signing David Ospina. The Colombian international is currently on the treatment table at Arsenal alongside Mathieu Debuchy, Laurent Koscielny and Mesut Ozil. The North London club’s manager said the injured players are doing well in their bid to regain full fitness and admitted that Koscielny could be in contention to place Manchester United after the international break. “Koscielny has a little chance to be back after the international break. Debuchy, Ospina and Ozil are progressing very well, but of course they are not available before or straight after the international break,” Arsenal manager stressed.